We Have the Best Doors and Windows on the Market. We Have the Best Conservatories on the Market. 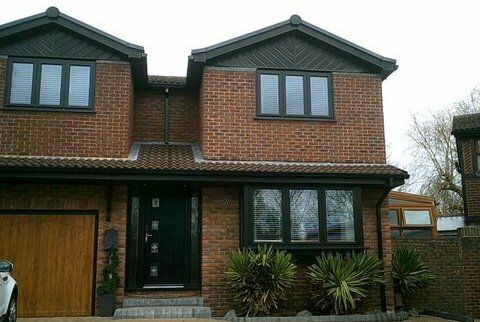 Topline Windows and Conservatories is based in Waterlooville in Hampshire where we have been manufacturing in-house doors, windows and conservatories since 1980. 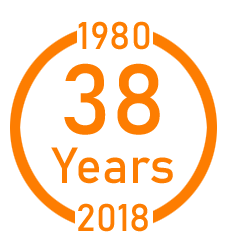 We use our own experienced fitters and part of our remit is a full after sales service when we supply and fit all products. We also offer several types of Conservatory Roof Replacement and Flat Roof Glass Lanterns for new builds and refurbished flat roofs. 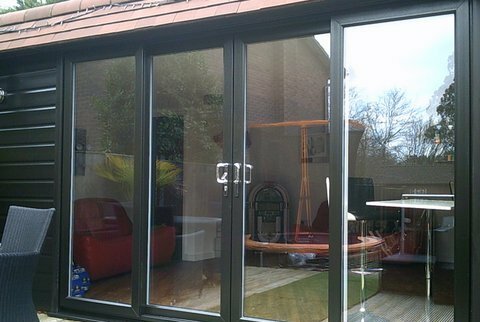 Come to Topline for your double glazed Windows, Doors, Conservatories & for your peace of mind. You can trust Topline! Topline Windows manufacture and assemble conservatories for clients in the counties of Hampshire, West Sussex and the cities of Portsmouth and Chichester. 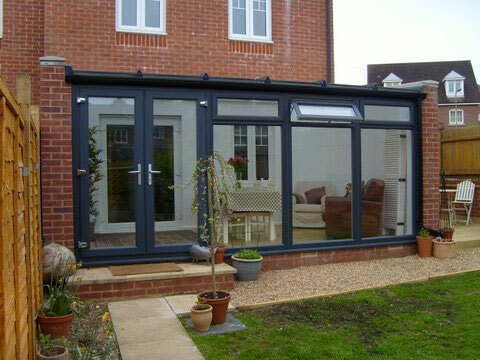 From this website you can choose the type of conservatory you would like, its size and additional options, and a guide price will be calculated for you. Fitting included, standard colours both sides, Anthracite Grey/Black Semi-Gloss/White. If your current roof is of a flat roof nature it should be possible to fit a lantern to your existing roof subject to site survey and existing building regulation certificate. Our home extension range with glass roof lantern would be of a brick built nature on exterior walls, with a plaster finish to all inside walls and ceiling. The floor would be self-levelled complete with skirting boards; a choice of white uPVC patio or French or Bi-fold doors; and double glazed windows to suit with inside window boards. The great new conservatory roof replacement that can be lived in all year round, warm in the winter, cool in the summer. Liv in Roof is the first roofing system designed to give you the flexibility to combine solid and glazed roofing seamlessly. Extend your living space to give you a room you can use all year round. 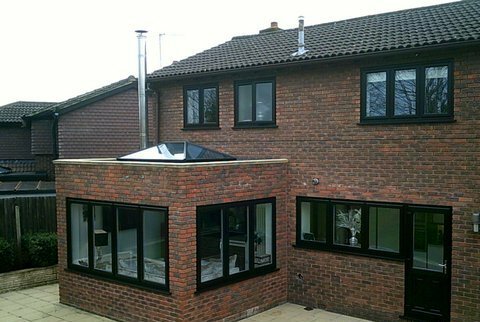 Great looking, fast fitted, thermally efficient replacement tiled roof that can incorporate full rectangular glass panels. 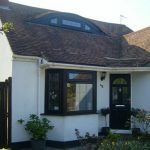 This is a simple lightweight tiled roof perfect for replacing an old tired conservatory roof in one day. There are 3 simple components, making it extremely light and easy to install, faster than any other solid roof onto existing frames. When you buy your double glazed doors and windows from Topline Windows you can be sure that you are buying the highest grade materials with the best insulation available – and all backed by our 10 year guarantee plus without charge, an independent insurance for the whole of the 10 yrs (For your peace of mind) In association with GGF. Top quality exterior uPvc exterior doors manufactured by Topline. Each door has hook locking and keeps which are favoured by insurance companies. Your door will be installed by a Topline installer working to our exacting standards. Full after sales service when we supply and fit all products. Enclosed is a cheque for payment for the completion of our conservatory. Many thanks for an excellent, well communicated and efficient installation service. Topline service will be well recommended. Thank you to everyone involved for creating such a wonderful extra room for us. We are really pleased with it, and will enjoy it for many years to come. We have been incredibly impressed with the quality and professionalism of everyone who has contributed towards building our conservatory – thanks. The quality is in the product, your workforce are extremely professional in their work, and need our congratulations, as do yourself. Well done.